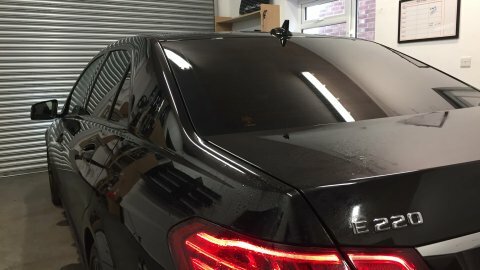 Mercedes E class 20% vinyl on the back and 35% front. Would you like your car to look remarkably different and stand out from the crowd of boring vehicles that you pass on the street on everyday basis? If so, we have a simple, cost-effective, and highly efficient solution tailored to your needs. Contact the representatives of the Adi Window Tinting Company and order a set of tinting layers for a reasonable price. You will be offered a wide choice – starting from almost invisible near-white tint, up to dark brown and pure black. You will surely find products that will draw your attention in our catalogue!